Class 4 had short but super fun day! 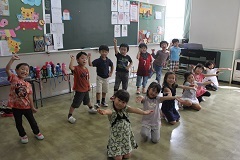 As the Sports Festival approaches, everyone is getting excited about performing the Intermediate dance in front of their families, as well as the other events. 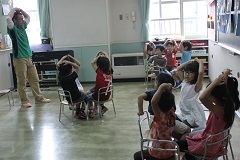 After exercising with Class 7, the whole school went outside to practice the ‘Thank you song.’ When we got back it was time for phonics and an English lesson. Everyone had a good time and we crammed a whole day’s worth of activities into one morning! 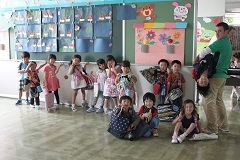 As we lined up to go home, all the children said that they were excited about Sports Festival practice tomorrow! Great job Class 4!